If the number argument is positive or Negative number, Cosh() function will return the hyperbolic Cosine value. When the number argument is null value, Cosh() function will return One. Within the First two statements, We used the COSH() Function directly on both the Positive integer and negative integer. Next two statements, We used the COSH() Function on both the Positive and negative Decimal values. 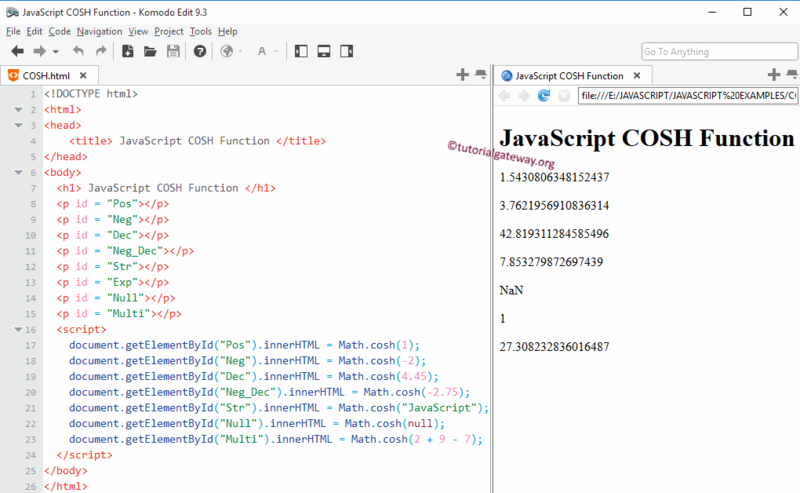 If you observe the above screenshot, Cosh() function is working perfectly with Integers and Decimal values.